Evening baseball at Stazio Ballfield. 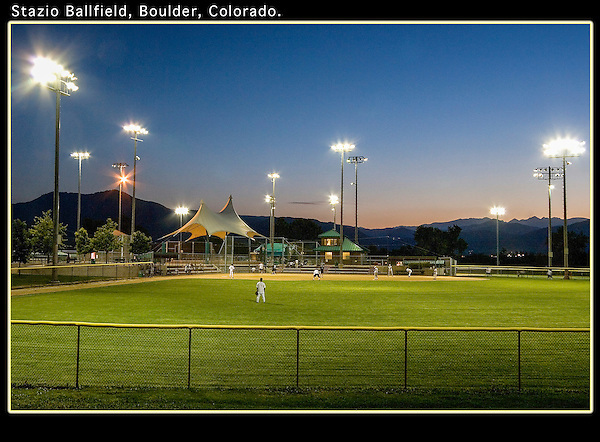 From John's 4th book: "Boulder, Colorado: A Photographic Portrait." Photo tours of Boulder, led by John Kieffer. Click the above CONTACT button for inquiries. Year-round. Boulder Colorado tours.